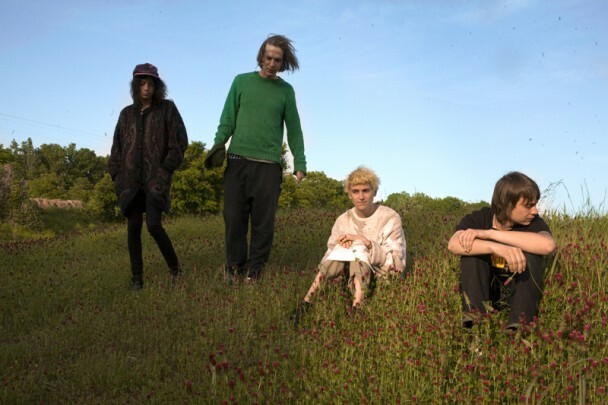 Zachary Cole Smith’s side project, DIIV, has certainly gained a lot of exposure in the past year, and the height of their popularity just keeps on growing. This week the band released the dreamy new video for “Doused,” via Rolling Stone. The dreamy video goes perfectly with the haunting track which mixes in some of the most colorful and intriguing live footage you will ever see. Launching a big premiere on Rolling Stone, it seems obvious that DIIV may become just more than a side project. It’s already a phenomenon. The band has just kicked off a massive U.S. tour this week, and will be headed directly to Europe soon after. This entry was posted in Electro Rock, Indie, News, Video and tagged DIIV, doused, rolling stone, tour dates, wild nothing. Bookmark the permalink.